Gable Home Inspections LLC offers professional home inspection services to Southwest Florida. Our non-invasive inspection services are always conducted with precision and integrity—because it’s our duty to make sure that you walk into negotiations with a solid understanding of the home that you’re considering. 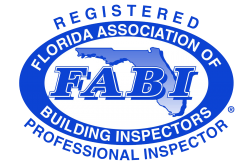 We adhere to the Florida Association of Building Inspector’s strict Standards of Practice. Our comprehensive home inspection services are designed to give prospective buyers a better understanding of a property by evaluating the condition of most visible and readily accessible components. The inspection will be followed by a detailed report of our findings (including photographs)—but we encourage you to attend your inspection if possible for an even closer look. Your phone call is welcome afterward with any questions that you may have—even if it’s weeks down the road! Weekend and evening appointments for inspection services are available by request. Before you sell your home, wouldn’t you like to have a better idea of its condition and how that may impact the process? We offer a comprehensive inspection that will reveal any faulty components so that you’re able to address necessary repairs or otherwise inform potential buyers. Not only will this will give you a better idea of your home’s value, but it will also facilitate smoother negotiations by preventing undisclosed issues from surfacing during a buyer’s inspection. This inspection is frequently required by insurance agencies in order to issue a policy on an older home. It involves a careful visual assessment of the condition of the roofing system, the HVAC systems, the electrical system, and the plumbing system. Gable Home Inspections offers comprehensive evaluations of any type of commercial property (no matter what size). We’ll carefully assess the installed systems and structural components for any defects that need taken into consideration before you choose to invest in a location for your office or business. If you’re deliberating the purchase of a waterfront home, this inspection could save you from expensive repairs in the future. We’ll carefully evaluate the condition of the seawall, dock, and boat lift to ensure that each structure is in safe condition and that any drainage or mechanical systems are functioning properly. This inspection is for homeowners who would like their new home evaluated before the builder’s final walkthrough. We’ll assess the condition of most major systems and structural components so that you’re aware of any issues that may need addressed by the builders or other contractors before moving in. Florida is a wonderful place to live but sometimes the weather can take a turn for the worse. To make sure a home is protected, it’s highly recommended for several wind mitigation features to be in place. Depending on what measures have been taken, homeowners may qualify for substantial insurance credits. We’ll inspect a property for any installed wind mitigation structures and offer recommendations for additional measures that may need taken for maximum effectiveness. A yearly home maintenance inspection is recommended for all current homeowners. By having your home professionally inspected on a regular basis, you’ll have a better understanding of its structure, mechanical systems, and improvements that need made in order to preserve the home’s integrity and value. Termites and other wood-destroying organisms are far more than merely pests, creating a need for thousands upon thousands of dollars worth of repairwork for homes each year. Before you invest in a home, we recommend scheduling a WDO Inspection to assess the property for any previous or ongoing infestations—including hidden structural damage caused by termites. This is an ancillary service. A Phase Inspection can greatly benefit the construction of your home by ensuring that there are no issues that could stall progress or require the builders to go back over work that has already been completed. We’ll arrive on-site at several critical times to perform an inspection: pre-concrete pour, pre-drywall, and pre-final walkthrough. After repairs have been performed by a licensed contractor on a home component that we found to be defective, we encourage you to contact us to return for a Re-Inspection. We’ll evaluate the repairwork for safety, correctness, and to ensure that there are no additional problems that need addressed. It is highly recommended that all qualified and licensed contractors be used for any repair issues found in the inspection. A pool is a wonderful luxury, included with many residential properties all across the state of Florida. However, before you commit to an investment, you should have the pool or spa inspected for any issues that could compromise your safety or reflect on the value of the home. We’ll evaluate the structure itself as well as the mechanical systems and any additions— including ladders, steps, and diving boards. When a home becomes contaminated with mold, it’s often more than just an eyesore. Mold can cause serious health ailments for residents and result in expensive structural repairs for your home. During a mold inspection, the home will be assessed for the presence of mold and the moisture that harbors it. Strategies for eradication and prevention will be offered with your inspection report. This is an ancillary service. At Gable Home Inspections LLC, we truly care about our clients. We work hard to educate you on the condition of a home through our inspection services—because we want to see you succeed in your investment. Contact us today to request an inspection.